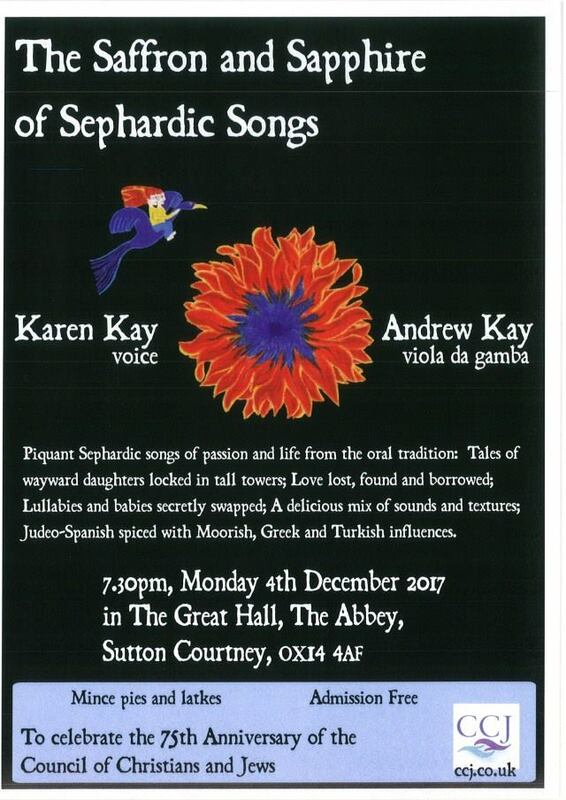 Andrew and I are excited to be performing our repertoire of Sephardic songs again. We'll be at The Abbey in Sutton Courtney on Monday 4th December - free admission! There will mince pies AND latkes, what's not to like?